What better way to celebrate Coke 100 years than to proclaim its own President for Happiness, Caloy. You have probably seen his commercial by now, that nervous-excited energy in a young man whose only aim is to make us Filipinos happy! And I’m pretty sure he will. He presented a couple of his big ideas, but of course, being that he’s new at this, I’m sure he will appreciate comments and suggestions from who else, but you! Yes, YOU! 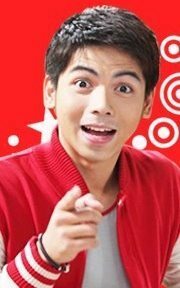 So don’t you just sit there and watch the commercial, visit his Facebook page and follow Caloy on Twitter! The New President for Happiness needs all our support. …ask lng poh anu nga poh pla ung real name ni caloy! same question w/ miyacah yukeroh. what's his real name?